Are you looking for a career where you can really help individuals in your community? Hospice of Southern Illinois considers it a privilege to care for individuals’ and their families’ end of life needs. We welcome anyone to our team who shares our passion for caring for our patients with the same compassion and dedication as we do. 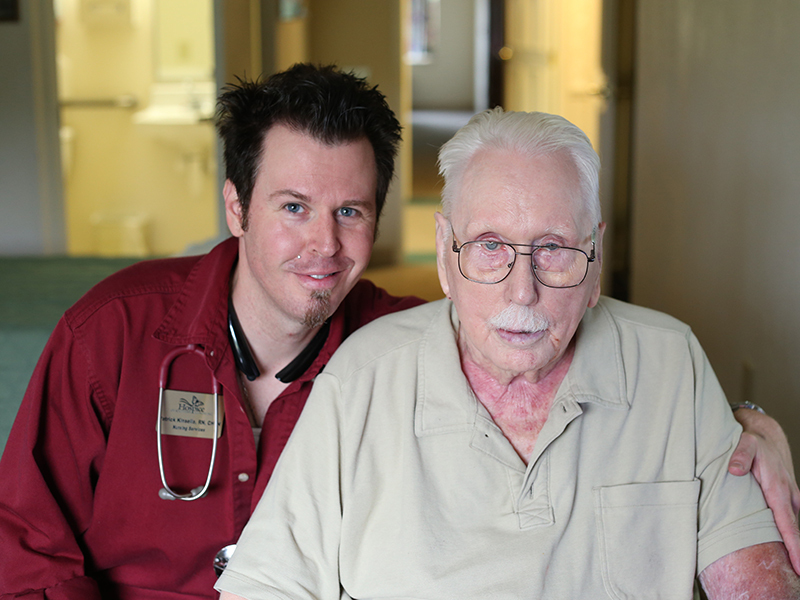 A career in hospice care at Hospice of Southern Illinois is a calling. Is it calling you? Our approach is comprised of a team of physicians, nurses, hospice aides, social workers, bereavement counselors, administrative staff, and volunteers who all work together to provide the highest quality end-of-life care. Join our team and apply today! Please email resumes for consideration to hrinbox@hospice.org. For additional information call (800-233-1708) or e-mail hsiadmin@hospice.org. Resumes are kept on file for one year and will be considered as openings become available. In general, Hospice of Southern Illinois looks for individuals with at least two years of healthcare experience. NOTE: As a disabled veteran or qualified individual with a disability, you have the right to request a reasonable accommodation if you are unable or limited in your ability to use or access the online job application system as a result of your disability. To request an accommodation, send your request to the Human Resources department at hrinbox@hospice.org or contact Jade Gutierrez at 618-310-7129.